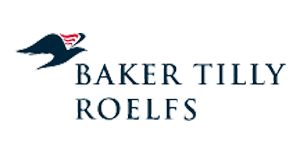 Baker Tilly Roelfs is one of the largest partner-managed consultancies in Germany and is an independent member of the global Baker Tilly International network. Its accountants, auditors, lawyers, tax advisers and management consultants provide a broad range of innovative and individual consultative services. In Germany, Baker Tilly Roelfs has 750 employees on its payroll at twelve different locations. 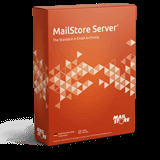 User administration The users were created by synchronizing with Active Directory in MailStore Server. Archiving method A combination of journal archiving, which archives all future incoming and outgoing emails, and multi-mailbox archiving was implemented. Multi-mailbox archiving allows several (or all) of an email server’s mailboxes to be archived in one step, and the emails to be assigned to their respective owners in the archive. Old emails can also be transferred to the archive in this way. Baker Tilly Roelfs is planning to set up a delete filter within multimailbox archiving in the future. This is being done so that emails that have been archived are automatically deleted after a defined period of time in order to reduce the load on the server.